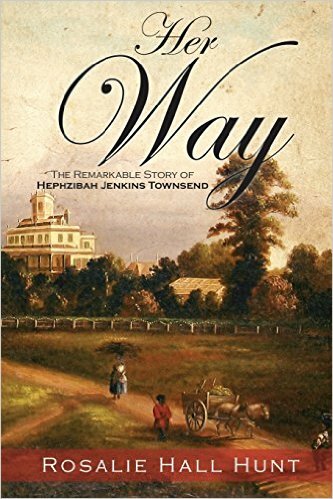 This is the biography of Hephzibah Jenkins Townsend,credited as founder of the Woman's Missionary Union in 1811, responsible for the development and support of foreign missions, and erecting a Baptist church on Edisto for the enslaved on the island. 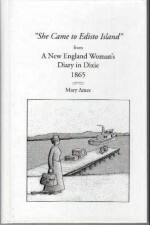 With a tremendous faith and commitment to her passions, as well with entrepreneurial insight, she sta rted a successful baking business with her dear friend, the slave Bella, providing the means to accomplish these needs for establishment of a church and mission work.Of interest, during the Revolutionary War, simultaneously her father was taken prisoner in Charleston and her mother died in childbirth, leaving her in the care of beloved slaves who brought her to safety on Edisto Island. Married to Daniel Townsend Ill, they raised a large family enduring much hardship in this historical period. 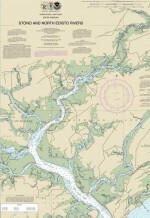 Local history and growth of island after the Revolution; Townsend and Jenkins family ancestry. 293 pages, photos, no index. 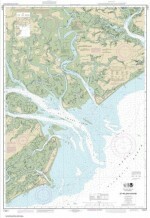 Edisto was home to the Edisto Indians and a wide variety of wildlife before the French and Spanish had a presence with the eventual settlement by the English and Scottish planters who established plantations that prospered until the Civil War. 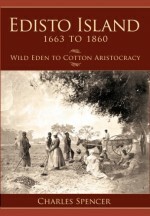 Much of the book covers the Antebellum period of the plantation aristocracy, slavery, and the sea island cotton era up to the Civil War. Postscript, Notes, Selected Bibliography and Index. 221 pages. 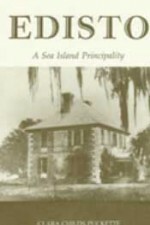 This is the second volume of Charles Spencer’s History of Edisto which he wrote in conjunction with the Edisto Island Museum. This book covers the Civil War on Edisto and locals who fought or served the war effort, moreso the Reconstruction Era, and finally Edisto in the Twentieth Century. Postscript, Notes, Selected Bibliography, Index, Maps, b/w photos. 224 pages. 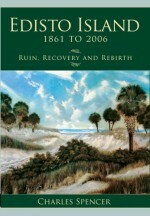 A history of Edisto Island from the Revolution to present day. B/W photos. 92 pages. 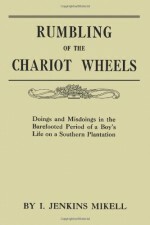 ‘Doings and Misdoings in the Barefooted Period of a Boy’s Life on a Southern Plantation’. 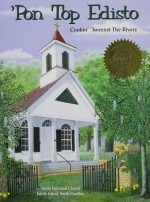 This is the memoir of I. Jenkins Mikell during and after the Civil War on Edisto and the Upstate when he was a young boy, not old enough to enlist and fight in the war. His remembrances include not only the Civil War but other historic events of the time, plantation and particularly the slave life and customs including his abiding friendships and respect of the Black race. Also, he refers to legendary Edisto stories including the visit of Lafayette and the matriarch Hepzibah Townsend who assisted the local Blacks to erect the first Baptist Church on the island. Also, dialogue written in Gullah. 273 pages. 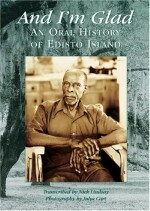 Oral histories of Sam Gadsden and Bubberson Brown, descendants of slaves, who relate their knowledge of the slave culture during the 1800's: Reconstruction; the African-American legacy to the island and their personal struggles in the Twentieth Century. Six-part introduction by Mr. Lindsay; and a Nigerian psychologist, Sam Ozuzu, provides information regarding the West African customs still relevant to Edisto. B/W photos. 192 pages. 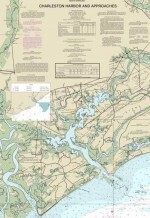 Edisto Island paper road map.